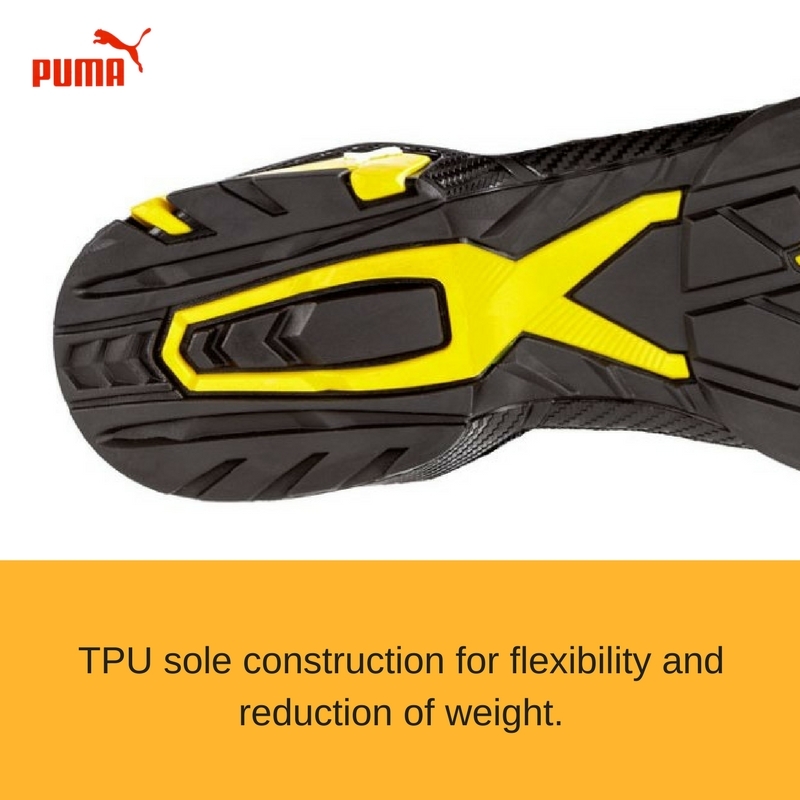 The EVA cushioning pad integrated in the heel area ensures optimum shock absorption during ground contact. 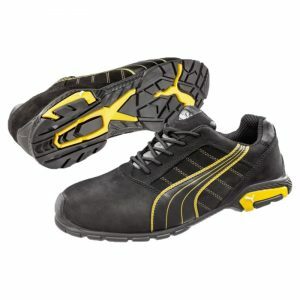 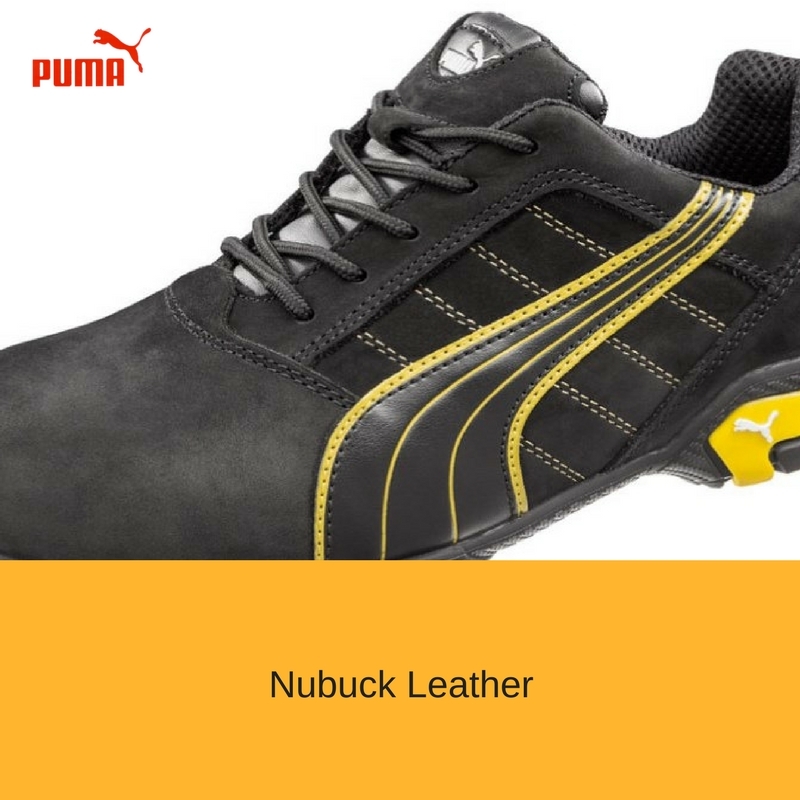 Aluminium material which is lighter than a common steel toe cap yet still provides 200 joule impact protection. 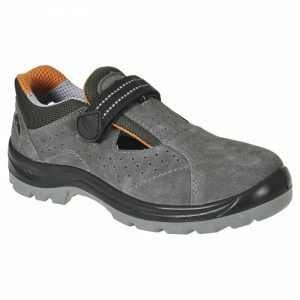 Breathe Active for maximum moisture control and comfort. 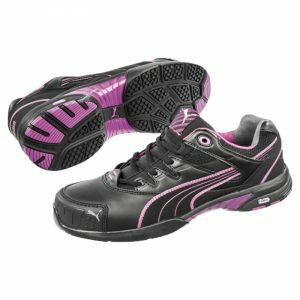 PUMA evercushion pro. 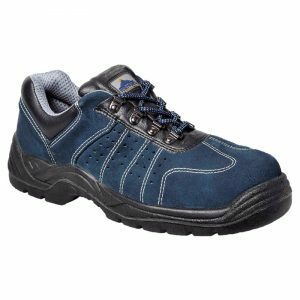 Designed to give maximum relief to high compression zones, is durable and breathable. 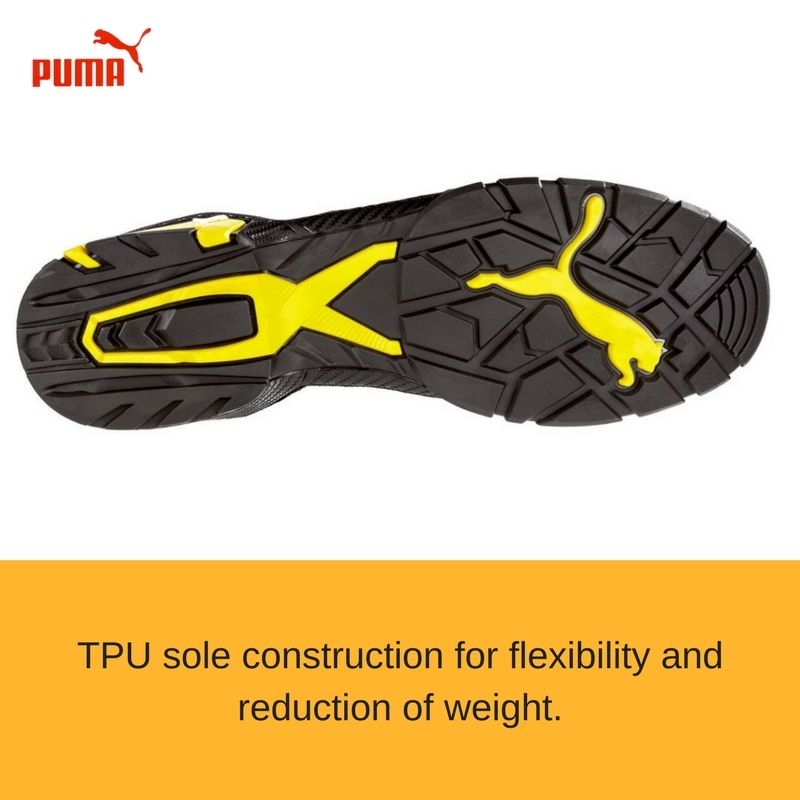 TPU sole construction for flexibility and reduction of weight.